As far as history is concerned, Tennis originated from Jeu De Paume or Game of the Palm, a game which was played with hands instead of a racquet in northern France in the 12th century. Racquets were introduced in a modern version of this game which was strictly played indoors in around 16th century and got its name of tennis. According to historians, Henry VIII of England was the pioneer of the real tennis with the indoor and outdoor versions that we play today. The first recorded annual competition between men’s national tennis teams was The Davis Cup in 1900. C.C. Pyle organized the first professional tennis tour with a group of American and French tennis players to entertain paying audiences in 1926. Today tennis is one the main games played throughout the world. Many legendary tennis players have also secured their own places in the hearts of sports fans, along with the other athletes. So here is the list of top 10 greatest male tennis players of all time. Swiss legendary tennis player Roger Federer held the world no. 1 position for 237 consecutive weeks from 2004 to 2008. He held the world no. 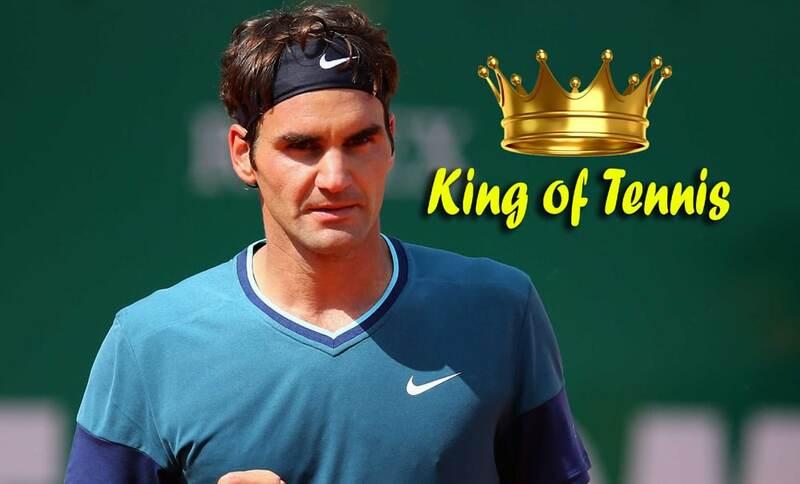 1 position for 302 weeks in his career during the Open Era which is indeed a world record. He achieved a world record when he reached each Grand Slam Final at least five times and reached Wimbledon final nine times. With his career total of 17 Grand Slam singles titles, he is one of four male tennis players in the Open Era to achieve the career Grand Slam. Federer appeared in record 18 out of 19 international finals from the 2005 Wimbledon Championships to 2010 Australian Open. He holds the world record of the highest number of match wins with 274 victories, and is also the only male tennis player to win more than 60 matches at each of the Grand Slam tournaments. Federer was voted as the Laureus World Sportsman of the Year for a record four consecutive seasons from 2005 to 2008. American retired tennis player Pete Sampras achieved world no. 1 position on several occasion during his 14-year career. He won 14 Grand Slam singles titles, 5 ATP year-end World Championships and 2 Grand Slam Cups. He was the first player to break Roy Emerson’s 12 Grand Slams winning record and started to be widely regarded as one of the greatest male tennis players of all time. He is the only man, besides Roger Federer, to win a record seven Wimbledon singles championships in the Open Era. 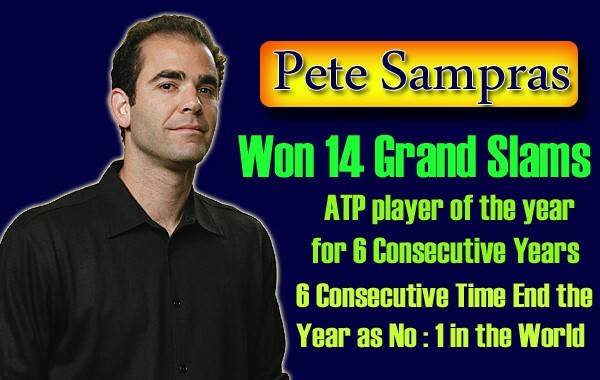 Sampras also holds the world record of year-end world no. 1 for six consecutive years from 1993 to 1998. Besides his several other records, he is the last American male tennis player to win Wimbledon and the ATP World Tour. Sampras was voted ATP Player of the Year for six consecutive years from 1993 to 1998. Spanish professional tennis player Rafael Nadal has been nicknamed The King of Clay and widely considered as the best clay court player in tennis history. He currently holds the second position with 10,670 points after Novak Djokovic in ATP ranking. Nadal won 14 Grand Slam singles titles till date and also achieved the 2008 Olympic gold medal in singles. He has won a record 27 ATP World Tour Masters 1000 and also has the record of 15 ATP World Tour 500 tournament wins. He is the only player beside Andre Agassi to win the Career Golden Slam in singles. 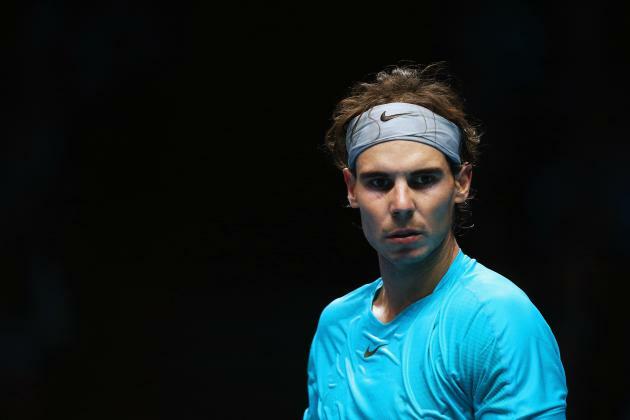 Nadal also holds the record of most consecutive titles at a particular championship, with his eight Monte-Carlo Masters wins one after the other till 2012. Besides numerous sportsmen of the year awards, a main belt asteroid discovered by ObservatorioAstronómico de Mallorca in 2003 was also named after him as 128036 Rafaelnadal to honor his legacy. 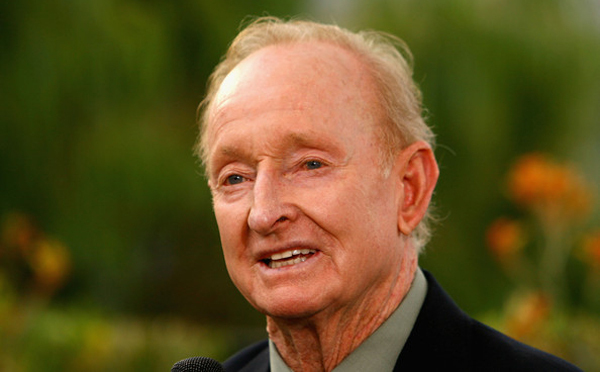 Australian former tennis player Rod Laver was ranked World No. 1 for seven consecutive seasons from 1964 to 1970. He also holds the world record of the highest number of singles titles wins in the history of tennis with his 200 career titles. He is the only tennis player in the Open Era to win the year Grand Slam with all four major singles championships in the same year in 1962 and 1969. Laver won a total of 19 Major singles championships during his career which includes 11 Grand Slams and 8 Pro Slams. He also won a total of 9 Major doubles championships which includes 6 men’s doubles Grand Slam and 3 mixed doubles Grand Slam. Laver holds the all-time world record of highest championship winning in a season with his 22 singles titles in 1962. Laver was inducted in the International Tennis Hall of Fame in 1981 and Sport Australia Hall of Fame in 1985. Swedish former tennis player Björn Borg won 89.81% of the Grand Slam singles matches he ever played, and 41% of the Grand Slam singles tournaments he participated in, a record which is still unbeaten. He also holds the record of the highest percentage of wins with his 92.73% winning ratio at Wimbledon. He won 11 Grand Slam singles titles during his career which includes six French Open singles titles and five consecutive Wimbledon singles titles. Borg is one of the four players to win both Wimbledon and the French Open in the same season and the only player to achieve that for three consecutive years in Open Era. He is also the only tennis player to win three major international titles without dropping a single set. Borg won the BBC Overseas Sports Personality of the Year in 1979 and was inducted in the International Tennis Hall of Fame in 1987. 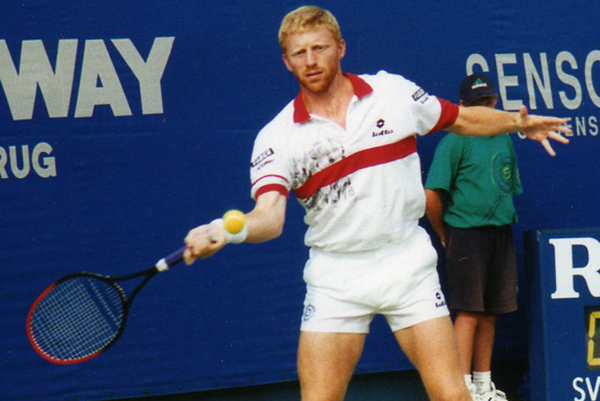 German retired tennis player Boris Becker is the youngest winner of the men’s singles title ever at the age of 17 at Wimbledon. He is also the current coach of recent World No .1 Novak Djokovic. During his 16 years tennis career, he achieved six singles Grand Slam championships, eight Championship Series titles, five ATP World Tour Masters 1000, three ATP Masters World Tours, one WCT Finals, one Grand Slam Cup and an Olympic gold medal in doubles. He also reached World No.1 first on 28 January 1991, and he stayed there for a total of 12 weeks during his career. Becker is one of the eleven tennis players in the Open Era to achieve the winning percentage over 80. He was named as the 18th legendary player in the list of 40 greatest tennis players from 1965 to 2005 by Tennis Magazine. 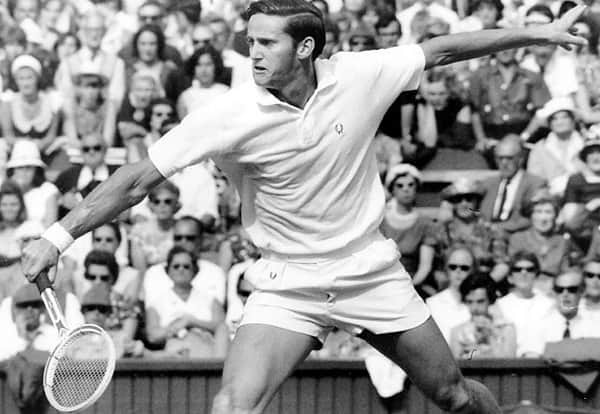 Australian former tennis player Roy Emerson is the only male tennis player to complete a Career Grand Slam with winning titles at all four Grand Slams in both singles and doubles. He won 12 amateur Grand Slam singles titles and 16 Grand Slam men’s doubles titles which also include 2 major Opens and has a record among male tennis players. 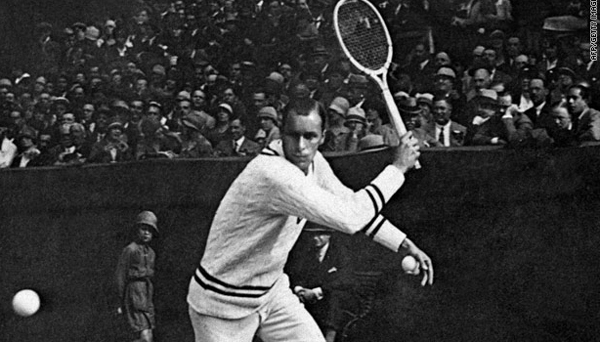 Emerson is the first male tennis player to win all Major amateur titles at least twice in his career, and also one of the only seven men to win all four Major championships during his tennis career. Emerson was inducted in the International Tennis Hall of Fame in 1982. He was also introduced to the Sport Australia Hall of Fame in 1986 and the Queensland Sport Hall of Fame in 2009. American retired tennis player Andre Agassi was one of the most dominant tennis players of the 1900-2000’s tennis history. After his retirement, BBC announced he was “perhaps the biggest worldwide star in the sport’s history.” He is one of the only three men in the Open Era to win a record four Australian Open titles and also the only male tennis player to win the ATP Tour World Championships and Career Golden Slam. 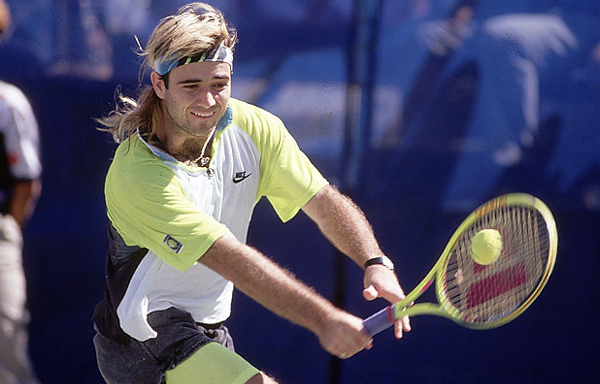 Agassi is the eight-time Grand Slam winner and also the gold medalist of 1996 Olympic. He is the first male tennis player to win all four Grand Slams on all three hard, clay and grass surfaces. He was named the BBC Overseas Sports Personality of the Year in 1992. Agassi was inducted in the International Tennis Hall of Fame in 2011. Besides tennis, his autobiography, Open, won the 2010 British Sports Book Awards in the Autobiography category. 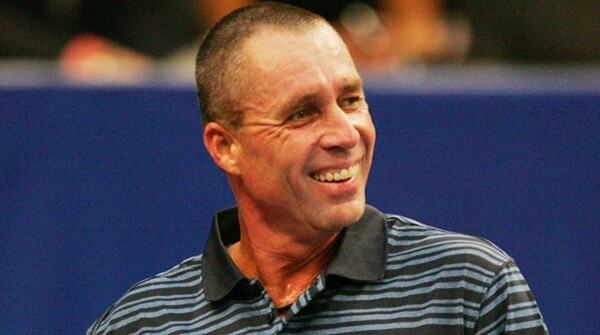 Czechoslovakian retired tennis player Ivan Lendl was widely admired for his heavy topspin from the baseline. He achieved eight Grand Slam singles titles and participated in record 19 Grand Slam singles a final which was later surpassed by Roger Federer in 2009. He is the only male tennis player besides Pete Sampras to reach at least one Grand Slam final in eleven consecutive seasons. Lendl also holds the highest winning record of 22 Championship Series titles from 1980 to 1989. He was first ranked world no. 1 on February 28, 1983, and held the position for record 270 weeks which was later surpassed by Pete Sampras and Roger Federer. Lendl was included in the list of the 21 greatest men’s tennis players for the period from 1946 through 1992 by Bud Collins in his book Modern Encyclopedia of Tennis. To honor this legend, DPR Korea issued a postage stamp in 1986. 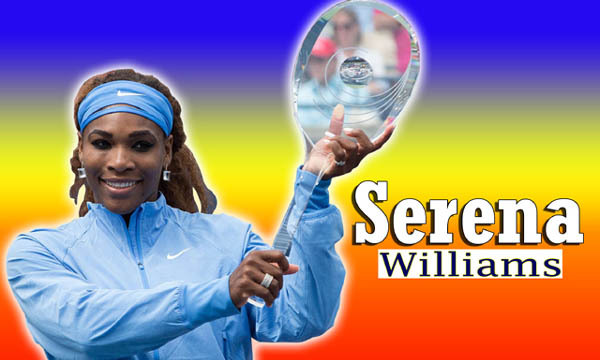 Many other rising tennis stars are also performing very well in modern tournaments. As it seems, they will also establish themselves among the legends mentioned above. One of the most notable stars is Novak Djokovic. Djokovic is currently ranked World No. 1 by the Association of Tennis Professionals and has already won three Grand Slams in 2011 and become the sixth male player to do so in a single calendar year.